Who (or what) is the Taxpayer Advocate? The office of Taxpayer Advocate was mandated by Internal Revenue Code Section 7803© in response to perceived abuses of taxpayer rights by the Internal Revenue Service. The National Taxpayer Advocate is appointed by the Secretary of the Treasury and reports directly to the Commissioner of Internal Revenue. Each state and campus has at least one local Taxpayer Advocate, who is independent of the local IRS office and reports directly to the National Taxpayer Advocate. As of this writing in 2009 Nina Olson is the National Taxpayer Advocate. Nina Olson has done a fantastic job in reporting to Congress on the tax problems that plague many taxpayers. Unfortunately, however, the Taxpayer Advocate’s office is limited in its power to control the actions of IRS employees, and has no ability to create exceptions to the law. Furthermore, rank and file employees of the Taxpayer Advocate’s office rely on the regular personnel of the IRS to interpret the tax law which is usually what created the tax problem in the first place. Nevertheless the Taxpayer Advocate’s office can be helpful in solving tax problems oflow income taxpayers; especially those who have been caught up in a system they don’t understand. 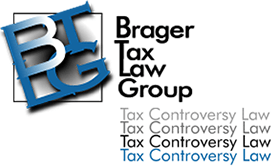 Those taxpayers with complex tax problems, or tax problems with large dollars at stake will most likely need the assistance of a tax attorney who fully understands the tax law.